Lazarevsky, Oleksander [Лазареський, Олександер; Lazarevs’kyj], b 20 June 1834 in Hyrivka, Konotop county, Chernihiv gubernia, d 13 April 1902 in Pidlypne, Konotop county. (Photo: Oleksander Lazarevsky.) Historian. He graduated in 1858 from Saint Petersburg University, where he studied under M. Sukhomlinov. After the abolition of serfdom he helped implement reforms in the Chernihiv region as a representative to the Chernihiv Conference of Justices of the Peace (1861–3) and was secretary of the Chernihiv Statistical Committee. From 1868 he served in a judicial capacity in Chernihiv, Poltava, Kremenchuk, Nizhyn, and Kursk. In 1880 he moved to Kyiv, where he was a member of the Kyiv Judicial Chamber, played an active role in the Historical Society of Nestor the Chronicler and its publications, and was one of the founders of the journal Kievskaia starina. As a student Lazarevsky contributed articles to Chernigovskie gubernskie vedomosti and prepared Ukazatel’ istochnikov dlia izucheniia malorossiiskogo kraia (A Guide to Sources for the Study of the Little Russian Land, 1858). In the mid-1860s he researched the socioeconomic and cultural history of Left-Bank Ukraine during the 17th and 18th centuries. He wrote a fundamental study of the peasantry titled ‘Malorossiiskie pospolitye krest'iane, 1648–1783’ (Little Russian Common Peasants, 1648–1783, Zapiski Chernigovskago statisticheskago komiteta, vol 1 ) and articles about the Cossack starshyna and nobility in Russkii arkhiv (1875–6) and Kievskaia starina (1882–93). He made an outstanding contribution to the history of colonization, administration, and land tenure in Opisanie Staroi Malorossii (A Description of Old Little Russia, 3 vols, 1888–1902). He also wrote a commentary on the historical monographs of Dmytro Miller on the Little Russian nobility and the statute courts (1898) and a study of early Ukrainian historiographers in Kievskaia starina (1897, nos 1–2), as well as numerous genealogies. 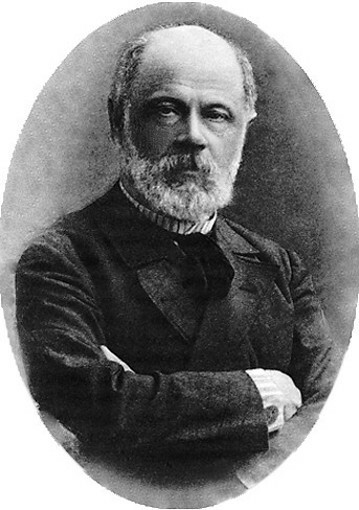 His articles published in Kievskaia starina were reprinted in a five-volume edition of his works (1891–9). In the field of Ukrainian archeography Lazarevsky edited Mykola Khanenko's diary (1884), the diary of the general treasurer Yakiv A. Markovych (3 vols, 1893–7), materials from the archives of the Sulyma (1884), Motyzhynsky (1890), Poletyka (1891), and other families, the Liubech archive of Count Mykhailo Myloradovych (1898), the correspondence of Hryhorii A. Poletyka (1895), and, in collaboration with M. Konstantynovych, a study of the Rumiantsev census Obozrenie Rumiantsevskoi opisi Malorossii (A Survey of the Rumiantsev Census of Little Russia, 3 vols, 1866–73). Lazarevsky's approach to history was based on his populist ideas. He emphasized the exploitation of peasants by the Cossack starshyna and regarded the Hetman state and its leading figures with disapproval. But he treated fairly those Ukrainian nobles who made a contribution to Ukrainian culture. He paid little attention to the disastrous influence of Russian policy in Ukraine, but Ukrainian historians noted the one-sidedness without denying his enormous contribution; in contrast, Soviet historians approved of his partiality. Lazarevsky left around 450 published works. His valuable collection of manuscripts and books, bequeathed to Kyiv University, has been preserved along with his archive at the National Library of Ukraine in Kyiv.